Get a head start on planning your new bulk soybean facility. SeedSite lets you set your bulk seed goals for the next three years and then select the equipment options you want as you “build” your facility. Once you have selected your seed goal for that first year, you can then select your bin size configuration and the remainder of equipment that matches that goal. This equipment includes bins, conveyors and treaters. You then have the option of e-mailing that selection to SeedSite@farmchem.com which will trigger a response from a Farmchem or Monsanto rep to help with additional planning. 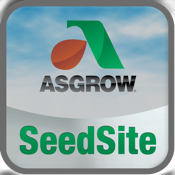 The SeedSite app was developed through the collaboration of Farmchem and Monsanto (Asgrow) to provide a professional tool for customers to plan for the growth of their soybean bulk seed business.